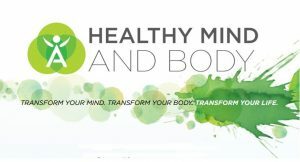 Hey I’m Dennis Lutz of Therapeuticbodyworker.com. Facilitator of cutting edge bodywork techniques and a powerful medical massage for chronic pain and dysfunction. This is according to about 80% of my clients and the institute that trained me. Being a little bit different than most therapists by doing only this type of therapy myself. 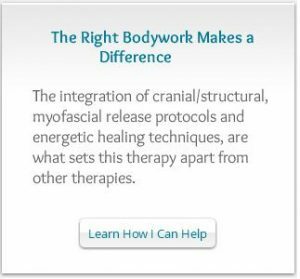 Using specialized myofascial release, integrated with cranial structural methods and energetic healing techniques. This is really what sets this therapy apart from others. I am not the one that developed it. 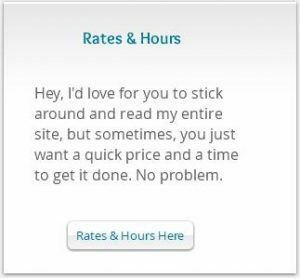 Learning it and putting my skills to use is making a huge difference in the majority of my clients lives. 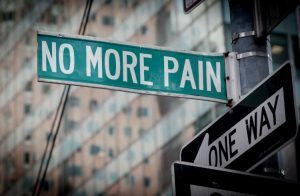 There are 10 different protocols in this pain rehabilitation therapy. It is unfortunate that a lot of people that experience back and neck pain sought out massage therapy when their symptoms first appeared. Not having any long term relief. they don’t feel massage is any more effective than any other treatment that produced unsatisfactory results. This is only if you choose to stay in pain. These protocols are very effective for many different issues the major medical field does not acknowledge. (Well, they’re starting to.) Memory loss and early onset dementia, early onset Alzheimer’s, jaw misalignment, (client had been told her whole life she needed surgery… 1 hr session did it). Tossing the walker and being able to walk without it. 40 year back pain gone. Chronic neck pain gone with clients telling me they had no idea that therapy like this existed. 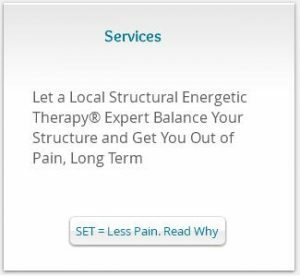 The reason I mention these are..I have had numerous positive results with these conditions and more and so has the Institute of Structural Energetic Therapy that trained me. It’s not my job to change anyone, or impose my will, but to accept their choices and bring forth healing to the best of my ability.